Satin Candy is in the Pink! You are here: Home / Health / Satin Candy is in the Pink! It’s “Pinktober” and Satin Candy, home to exquisite bras and luxurious lingerie, is partnering with the Pink Drive and are affording all customers the opportunity to have complimentary breast examinations in store and for every Satin Candy Purchase, they will donate R50 towards this charitable cause. “The majority of women who come into our stores for the first time often wear the wrong size bra. Many of them don’t know the health risks that are caused by wearing the incorrect sized bra. These health risks could even lead to breast cancer. We really care about our Satin Candy ladies and we’re excited to partner with the Pink Drive to further educate our community. For every in-store purchase, we will donate R50 towards the Pink Drive as well,” says Satin Candy founder, Sandra Thomas. 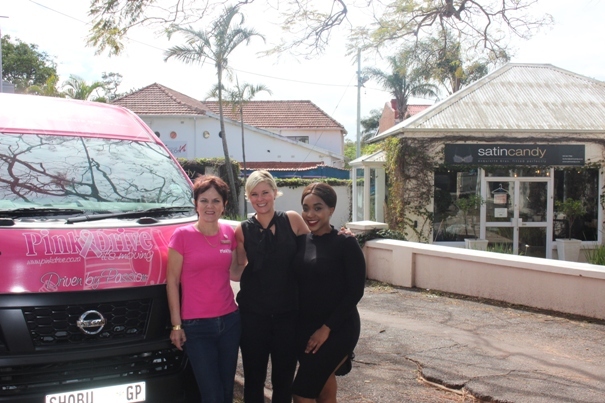 The Pink Drive team will be doing breast examinations at Satin Candy’s Kloof branch on Tuesday, October 16th and at the Windermere branch on Friday, October 19th, from 10h00 until 14h00. Breast Cancer Awareness Month is observed in October every year. According to the South African National Cancer Registry, one in 27 women in South Africa will be diagnosed with breast cancer and, according to the Cancer Association of South Africa; one in eight stands the chance of getting some type of cancer! The good news is that breast cancer, like other types of cancers, is treatable when detected early. 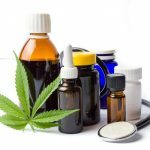 Early detection is absolutely crucial in ensuring effective treatment and a positive outcome. That’s why it’s important for you to examine your breasts regularly and to go for medical check-ups. 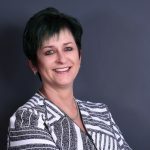 The Pink Drive KZN Administrator, Janice Benecke, believes the partnership with Satin Candy will go a long way to growing awareness. “Our partnership with one of Durban’s’ leading bra boutiques can definitely help us to extend our reach and accomplish our mission of helping women through early detection, education and support services,” she said. For more information pertaining to the complimentary breast examinations contact them at their Windermere store on 0313033315 or visit them at 222 Lilian Ngoyi Rd, and or at their Kloof store on 72 Old Main Rd, contact 0317645541.